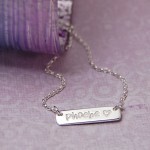 A sleek, on trend, sterling silver bar necklace, personalised with the phrase, name, date or initials of your choice. 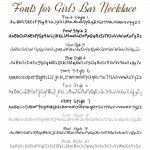 A delightful and striking, modern necklace for girls of all ages. 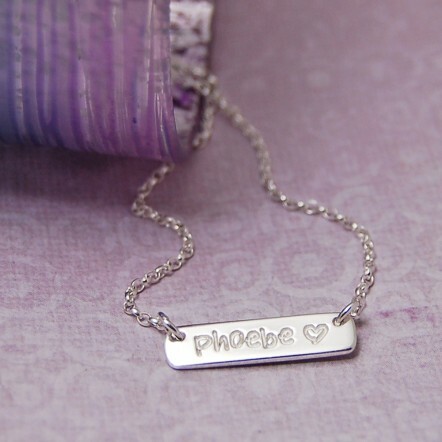 This smaller version of our extremely popular adult's bar necklace is made from sterling silver and the bar can be personalised with a name, word, date or initials and a small image (if required). 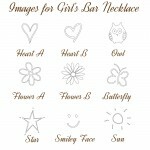 The sterling silver chain is available in a variety of different lengths to suit young girls up to teenagers. 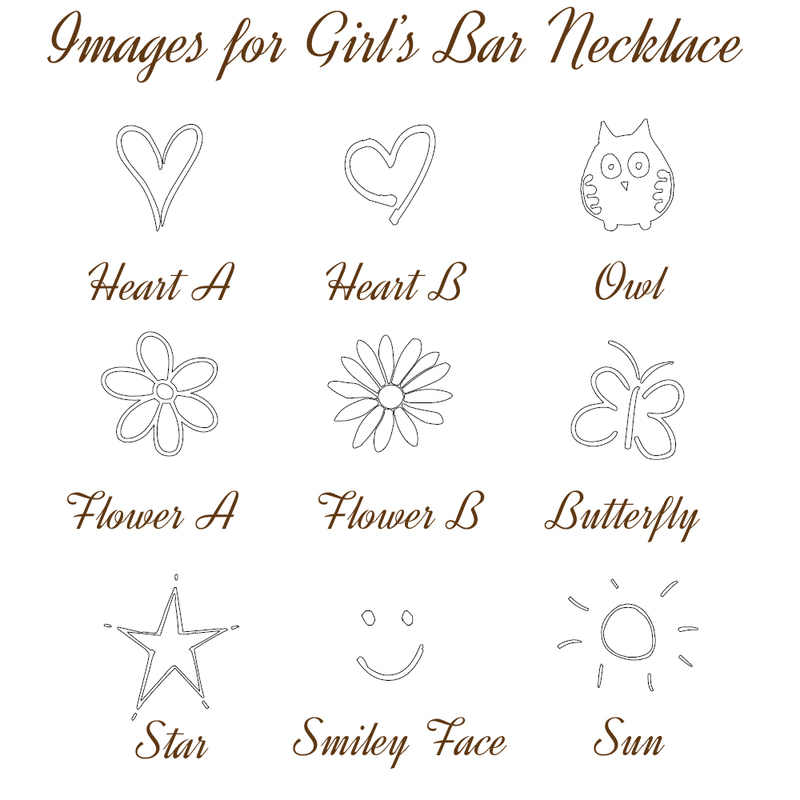 When personalising your necklace you can choose from a range of different font styles and a selection of small images including hearts, flowers, butterfly and owl to suit the recipient. We can fit up to 9 characters with an image and 10 characters without. Our girl’s personalised sterling silver bar necklace will be handmade in the UK by us especially for you and beautifully gift wrapped in tissue paper and presented in an IndiviJewels gift bag. The bar measures 24mm long and 6mm wide and is 1.1mm thick. 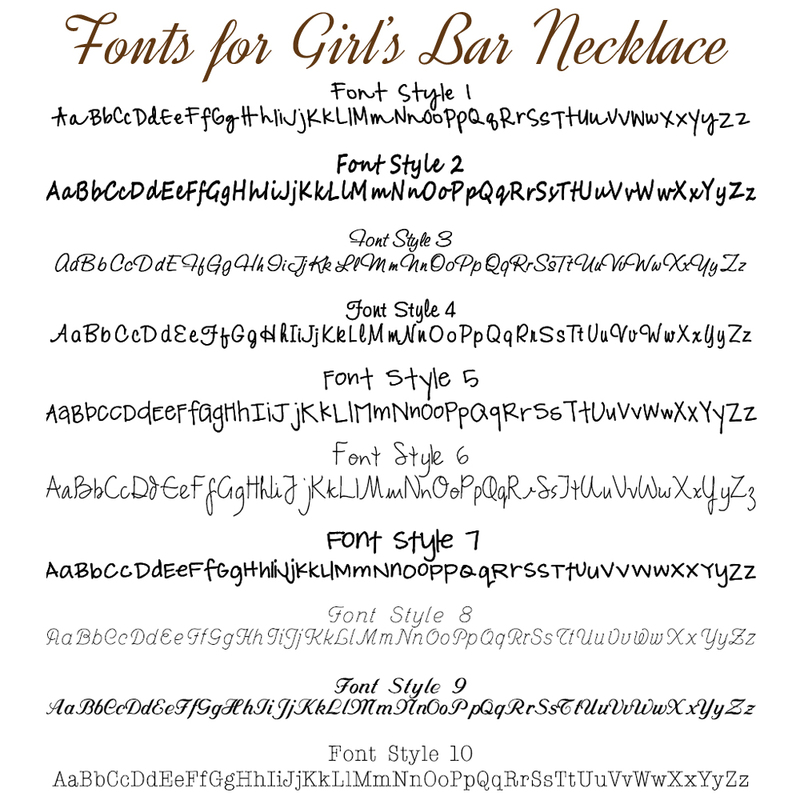 The chain is available in a number of different lengths to suit girls of all ages.